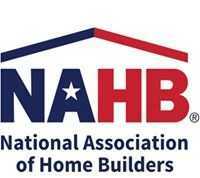 WASHINGTON, D.C. – (RealEstateRama) — During the Opening Keynote Breakfast at Building Innovation 2019: The National Institute of Building Sciences Seventh Annual Conference and Expo, in Washington, D.C., the Institute revealed its refreshed logo and brand identity. 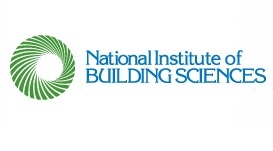 The revitalized brand is a result of extensive research and evaluation of the Institute’s unique role within the building design and construction industry. With the launch of the refreshed brand identity, the Institute is well positioned for the future. The Institute remains dedicated to unbiased research and thought leadership while preparing the industry for new paradigms. This brand promise aims to convey the Institute’s role in the industry, spearheading collaborative discussions by providing a forum for stakeholders to engage with one another. The Institute’s stakeholders have the opportunity to generate ideas and cross-disciplinary solutions to improve the built environment. The new logo visually represents the Institute’s mission and values. The logo maintains the Institute colors and its architectural elements convey the Institute’s strong foundation, defining the organization and how it remains firmly rooted in the industry. The open, interconnected structure of the pillars represents the collaborative and inclusive nature of the Institute. The arches visually demonstrate how the Institute’s work is interconnected with the standards of care used, linking its work with its mission and values.